For over 40 years Eley Metrology Limited has been at the heart of the design and manufacture of high-quality metrology equipment and the precision measurement industry. A comprehensive product line allows for a complete solution to your measurement problems. Our services are covered by our skilled and friendly engineers that are always on-hand to help ensure you have a fantastic experience with us and are supported by our after sales and technical teams. With products ranging from small metrology tooling items to full coordinate measuring machine services and inspection, we have your company's measurement needs covered. Our products are designed and produced to the highest manufacturing quality level and are supported by our UKAS Laboratory (no. 0333). Eley Metrology caters for industries such as aerospace, automotive, oil and gas and appliance making. Our clients range from large manufacturing companies to inspection laboratories for quality control. Eley's History is that of an industry leader. Founded in 1976; for over 40 years Eley Metrology has and continue to be at the forefront of Metrology. As the worldwide demand for metrology solutions increases Eley has evolved to lead the field with quality and accurate, Bespoke & Special Purpose Precision Measuring Equipment. "It began with an ambition and a burning desire’ – to design manufacture and create a range of Co-ordinate Measuring Machines along with other allied Metrology products. Accuracy, performance and quality were like an oxygen that fanned a flame in a quest for the unachievable; perfection and infinity – where the only real satisfaction is the knowledge that this is the best that could be achieved at a point. With immensely capable and enthusiastic colleagues I have pursued the quest, drawing ever closer to that impossible goal. In the world of market forces, a compromise is struck between excellence required and ‘how much will it cost?’ Ely’s products must be affordable, they must offer value for money. It is my belief that they do. I would like you to be as confident as I am that purchasing one of our products will prove to be the right decision. If it is not, I would like to be the first to know. I promise to make it my prime interest that customer satisfaction is guaranteed." Jeff’s words certainly ring as true today as they did then. Eley Metrology became the first United Kingdom UKAS Laboratory to gain accreditation to ISO 10360. The backing of the UKAS Laboratory at Eley Metrology has enabled us to offer the latest standards of excellence, quality calibration and traceability. Eley’s acquisition of Crown Windley in 2002, to complement their metrology machine business. Crown themselves were founded in 1904 and were a renowned world leader in the metrology field of granite and cast iron surface plates and tables. Crown Windley Granite - all of our high-quality surface tables are supplied with a UKAS Certificate of Calibration after being hand-lapped by our team of skilled engineers to grade 0,1 or 2. Crown Windley Metrology Tooling - Products in our metrology tooling range from Magnetic V-Blocks, Magnetic Sine Tables and Adjustable Angle Plates through to Tool Makers Vices, Sine Vices and Cast Iron Box Angle Plates. Eley Metrology's Unique Development of the Latest Long-Bore Measurement (LBM) CNC CMM. The LBM offers a solution to a challenging branch of metrology: the precision measurement of features down long, deep bores. Applications include aerospace components such as main engine shafts, hydraulically operated under-carriage landing gear, nuclear reactor items, oil industry components and line-bored bearing housings. 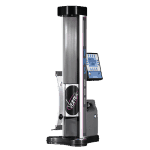 Eley introducing the latest range of patented Vertex VMS digital height gauge in 2013 which is the most advanced digital gauge yet. 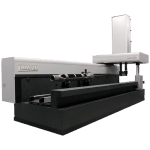 The VMS does not require any error mapping and has a maximum error over a range, of only 3.5 microns. Available in three sizes the Vertex VMS range includes 800, 1000, 1200 to enable a wide range of industries to get the most from this unique product.